Graduating from college is a big step. In fact, it is probably the biggest change you have come across in your new found adulthood. It is also a time that you can get yourself into a big financial problem that you will not be able to dig yourself out of quickly. Often times, students graduate from college and quickly find themselves employed under the realm of what they have studied. Because these graduates have a college education, they are usually leaping into jobs that pay more money than they have ever made in their lives. It can be very testing to keep yourself on a budget and not overspend your new money. We have some tips for college students to follow as soon as they are out of college. 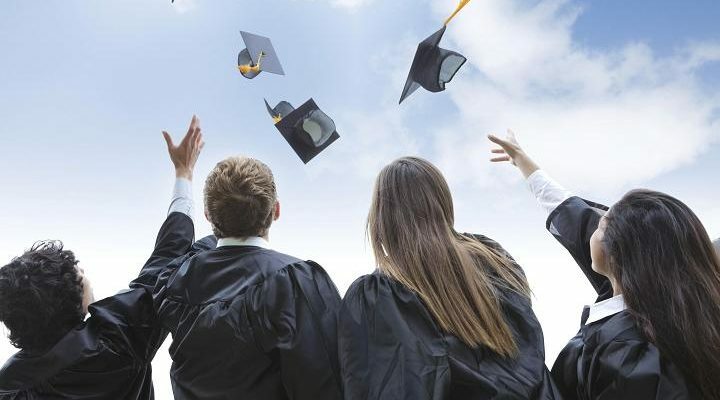 Frisch Financial Group highly suggests that students continue to live the lifestyle that they have been living even after they graduation, at least for the next 6 months. All too often, students with a new amount of money make decisions that are not financially secure. It is a very good idea to continue to live like a college student after you finish school and take a new job. Living like a student will not only allow you to save a great amount of money, it will also help you determine what your bill load is going to be before you are broke. Living under what you really need for a few months will help you decide what you want to spend your money on. If you jump right into an expensive apartment lease, and buy yourself a fancy new car, you will likely be overwhelmed within a few months. Allowing yourself to live under your means and determine what is most important for you is going to make you the happiest down the road. You may decide that travel is something that you love alot. If you have already signed an expensive lease and you have a $600 car payment every month to make, you may not be able to afford the travel that you want to do. Instead of buying a new car, you could use the $600 you would spend on a car payment and travel the world and see new things. Just because you now have enough money to eat out at fancy restaurants does not mean that you should do that. It may seem like you have enough money to take on the world as you have likely just taken a very big raise from your relatively no money that you were living on in college. While it is great to have money, you still need to be good at budgeting. We would suggest that you take the time to budget out where you will spend your new money. If you say that you are only going to spend $200 a month on eating out, stick to your budget. Budgeting will help you save money and become disciplined in your spending habits. If you can save money while you are young and not relying on the extra income, you will be able to set the habit now. We do not want newly graduated students to join the workforce irresponsibly. You should always aim to make good financial decisions, but it is even more important that you make these good decisions while you are young and leaning. Endowment Insurance or Term Plan: Which Is A Smart Choice?